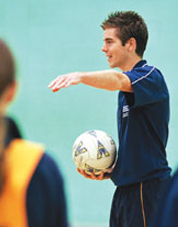 Sport and Activity Professionals is a specialist company working in the sport and activity business sector. Through its consultancy arm, it assists the sport/fitness/health/play/education sectors to add value through enabling clients to become more professional and to increase quality, revenue, efficiency and profit through practical, low cost, easy-to-implement solutions. If you would like a free health check to see how Sports Professionals could help your organisation, please get in touch by contacting us.